Hydrocarbon is a powerful contributor to development. The present study makes an attempt to use remote sensing data coupled with geophysical and geological data that has been integrated into Arc GIS to delineate favorable zones for hydrocarbon potential in the Masila oil field. Lineaments have been extracted using satellite data and geological data by their surface spectral signatures, whereas the subsurface lineaments have been inferred using geophysical data. Digital image processing of satellite image using ERDAS IMAGINE-14 have been carried out, sequentially using various techniques (Sobal, Laplacian filters and band composite), lineament digitized as layers, layers were converted to raster (grid) format, classified, analyzed, integrated and visualized using Arc GIS. The resulting lineaments obtained from each data, suggests that most of the lineaments are trended in NW–SE which coincides and are in conformity with the existing trend of the study area. The output potential map was classified into five zones of hydrocarbon potentiality, namely very high, high, moderate, low and very low potential zones. The hydrocarbon evaluation results of the present study reveal that 6.9% of the total area falls under very high potential, 14.2% highly potential, 21.3% moderately potential, 25.7% low potential and 31.9% falls under very low potential zones. The zones were verified with oil fields and existing wells in the area which shows a positive correlation. Such studies are significant for hydrocarbon potential resource planning and management. Further, the methodology used for this study can be, replicated in another similar geological setup elsewhere for mapping hydrocarbon potential zones. 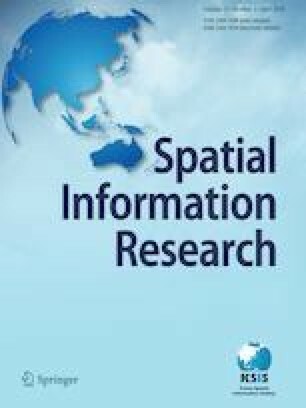 Authors are thankful to the editor-in chief, spatial information research and the handling editor for their valuable comments and suggestions on this paper. The authors are grateful to four anonymous reviewers for their critical and constructive comments which improve the contents significantly. Thanks are due to Geological Survey and Mineral Sources Board, Yemen, for providing geological data and for NASA and Japan’s ministry of economy and Japan space systems for providing satellite data. The corresponding author thanks, Dr. Nabeel Al-Areeq, Thamar University, Yemen for provided seismic maps and Dr. Saeed Al-Shamasy, Deputy of minister of oil and minerals, Yemen for his encouragement. O’Leary, D. W., Friedman, J. D., & Pohn, H. A. (1976). Lineament, linear, lineation: Some proposed new standards for old terms. Geological Society of America. https://doi.org/10.1130/0016-7606(1976)87%3c1463:LLLSPN%3e2.0.CO;2.